It looks like Paramount buying Dreamworks has started to turn sour according to an article in the Los Angeles Times by Claudia Eller. This is mere speculation, but Iger has been trying to woo back talent that was alienated by Eisner... the George Lucas brown-nosing that's been going on over in Glendale is a prime example of it. I know that many inside TeamDisney Burbank would love to work with Spielberg again so hopefully they're going to go after this incredibly big fish. One of the key parts of the article the author notes: "Smarting from sellers' remorse, the DreamWorks principals are expected to bolt as soon as they are free to late next year. Already, Geffen has been telling people in Hollywood that he and Spielberg plan to look for a new financial backer and studio home". Could Mickey find room on the lot for Steven Spielberg should he call it quits with Paramount? Who knows for sure, but as long as Iger is doing the wooing, he should spread a little bit of it around and aim it in Steve's direction. Get Uncle John to invite him over to dinner... talk, discuss, eat. But this is an opportunity the Mouse hasn't really had in over a decade to heal wounds inflicted by Eisner. Better hurry before he gets invited back to Universal. What are you waiting for Mickey? 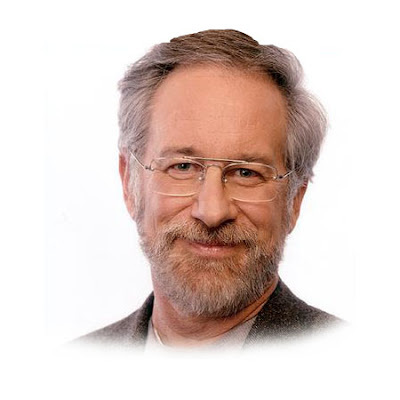 Man, the idea of Spielberg making a big summer film for Disney would be great. I hope they try and get him to make his home the Mouse. Thanks for the story, Honor. if this will happen it will be the best news ever for Disney after the return of 2D. And maybe we could finally get some new Roger Rabbit short films?